Samsung has just launched the Android 7.0 Nougat updates the Galaxy S7 and S7 edge in India. The company has begun a global rollout recently and India is the next market to get the latest and greatest from Google. The OTA firmware for both devices is quite hefty at about 1.3GB and includes the latest Android, as well as improvements to TouchWiz, Always-On-Display, and security . There is one more surprise for the Samsung fans in India – Samsung Pay app comes as part of the Nougat update. There is an official teaser included, which says “The future of payments is coming soon!”. This could only mean Samsung is getting ready to expand the Samsung Pay service to India soon. So, if you live in India and own a Galaxy S7 smartphone – the Nougat update should be waiting for you. 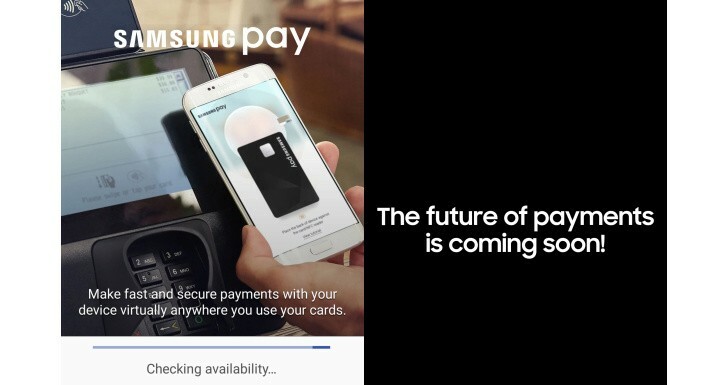 And in the upcoming weeks or months you will be able to use Samsung Pay.